As book videos become more important in the book marketing mix and book video distribution options expand, it is critical to distribue tyour video on sites that closely match your audience demographics. Distributing effectively is part judgment, part technology and part experimentation. 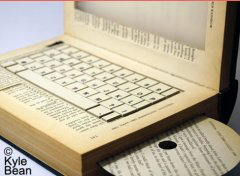 The technology aspects of book video include: formatting, search engine optimization (SEO) and distribution. These represent major concerns and hot topics for the COS Productions‘ R&D team which is made up of internal employees as well as contracted specialists. Last year our primary focus was on book video distribution. We worked on establishing relationships with booksellers and specialty sites. We submit our videos to over 300 booksellers and 5,000 libraries as well as specialty sites such as: Watch the Book, Preview the Book, DigiGirls Library, TerrorFeed, Dark Scribe Magazine, Romance Novel TV, and so on. More recently we’ve been working with BooksiRead and GoodReads and delving into more niche communities while continuing to reach out to additional booksellers and book clubs. We’ve mastered the RSS feed and are now able to do more with less time invested. We can even use RSS to get our blogs out to several areas and then monitor comments using Friend Feed. Our big focus in R&D right now is video SEO. Now that technology has caught up with SEO opportunities for video we plan on taking full advantage of that. Our team is currently working on a tutorial video and guide for our network partners that will help our videos have greater SEO. Today there are many distribution options. We have a list of over 400 sites that we can distribute to online. We believe this gives us the broadest possible coverage for our book videos in the various social media. Here is a small sample of sites that provide some basic distribution opportunities. Some of these sites are very specific to genre and allow you to target your book video to the most receptive audience. So, for example, if you have an inspirational book, we won’t send your book video to TerrorFeed. In this respect, it is exciting to see book video on the same playing field as video game trailers and movie trailers. 2009 promises to be an exciting year for book video! This entry was posted in author tools, Book videos, Columns, open publishing, readership strategies and tagged book trailer, book video, book video distribution, COS Productions, SEO, Sheila Clover-English, video SEO. Bookmark the permalink. Please add http://www.BookCaster.com to your list. 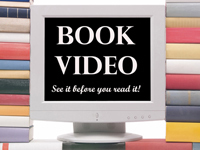 We host book trailer videos for both fiction and non-fiction books.